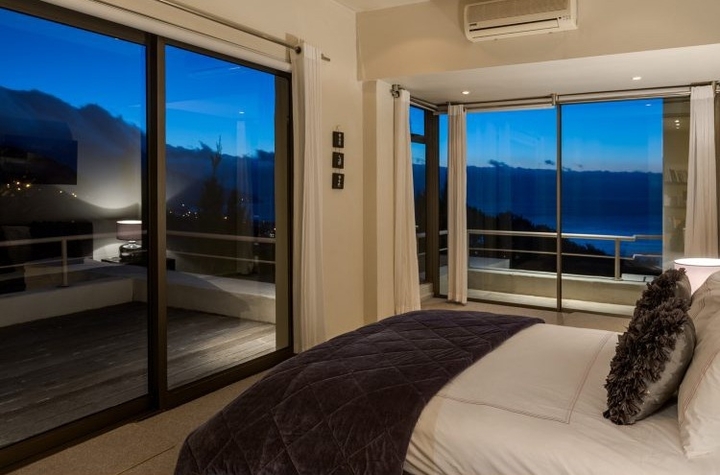 Why stay at GENEVA SLOPES? 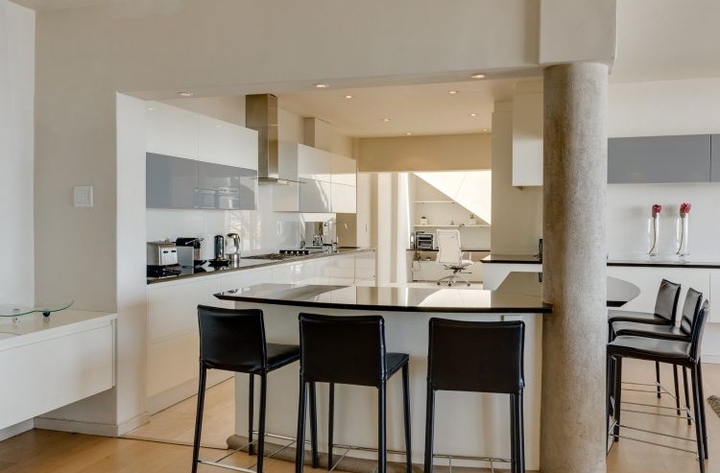 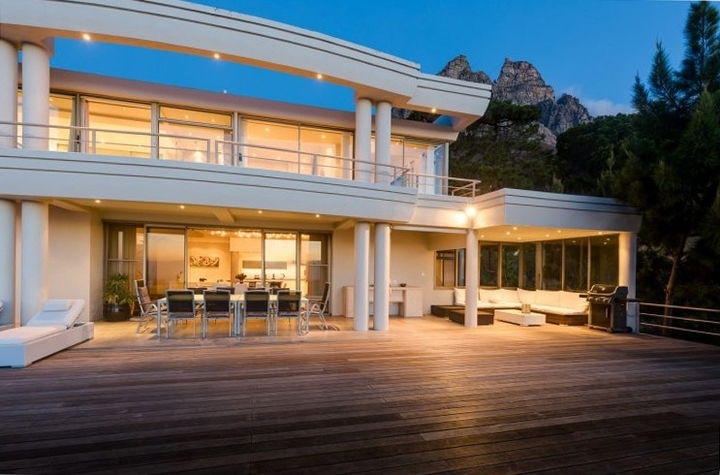 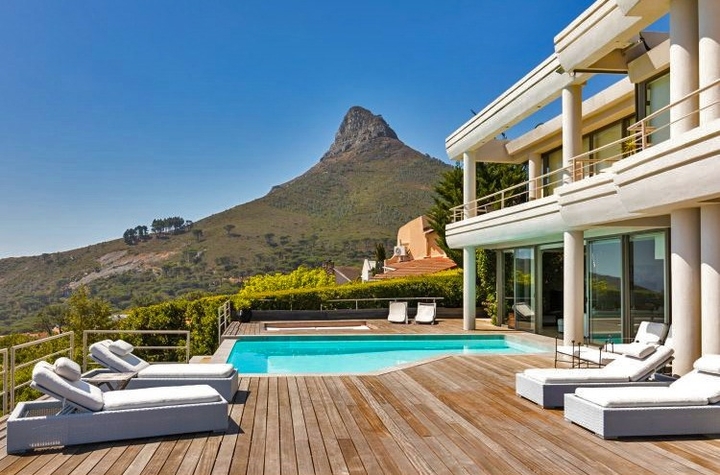 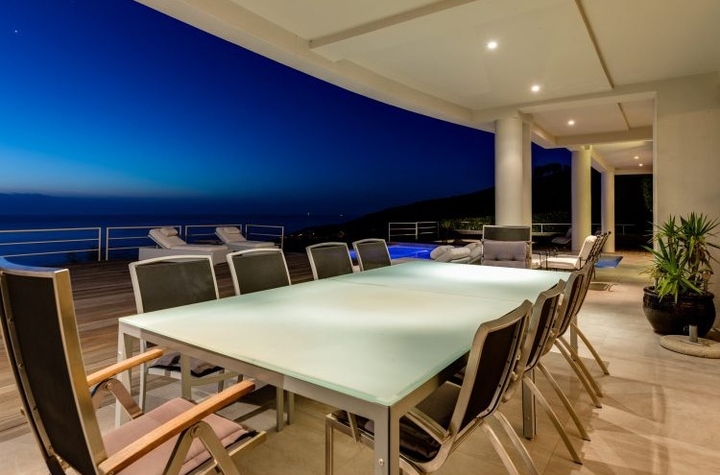 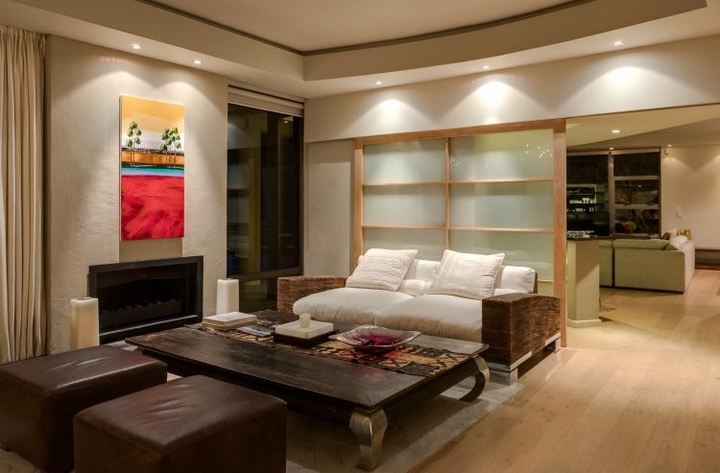 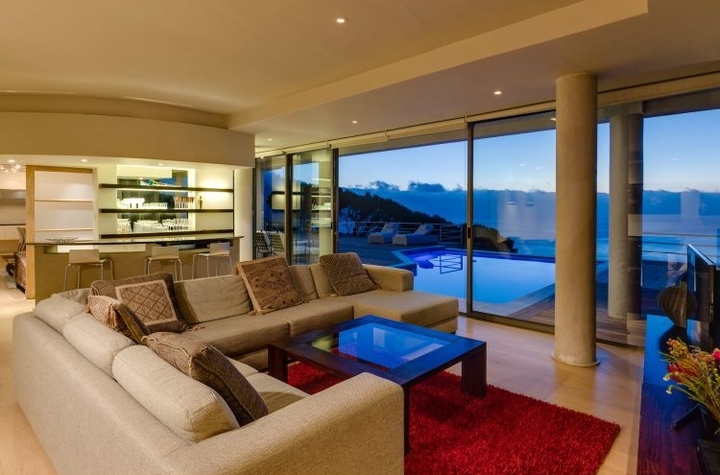 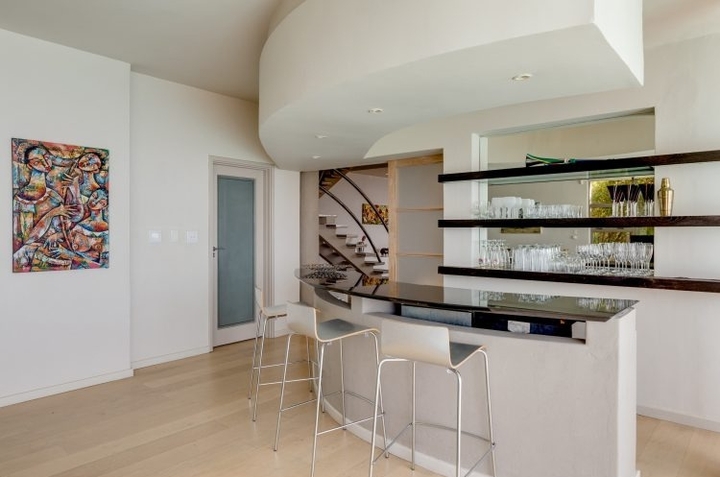 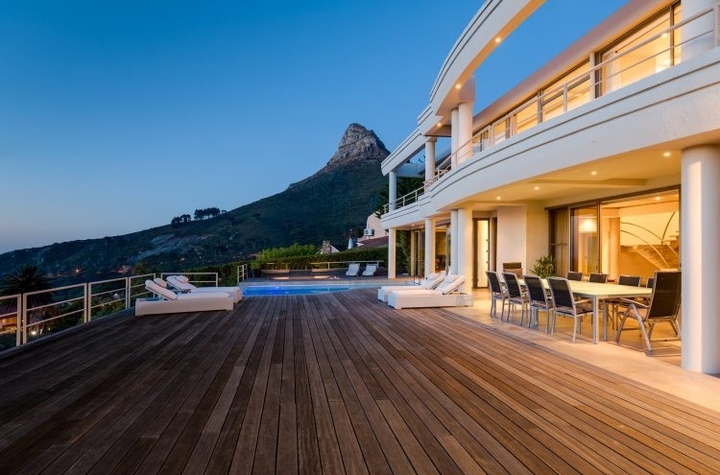 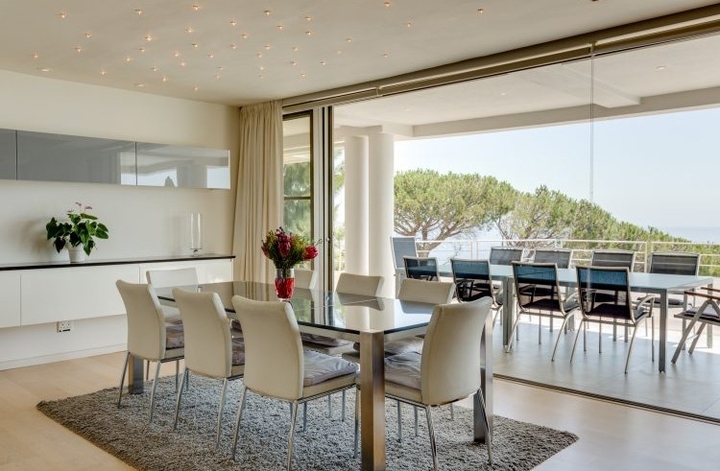 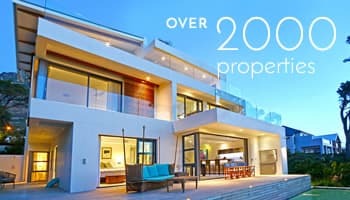 Geneva Slopes is a statuesque white Villa found on the west facing slopes of Camps Bay. 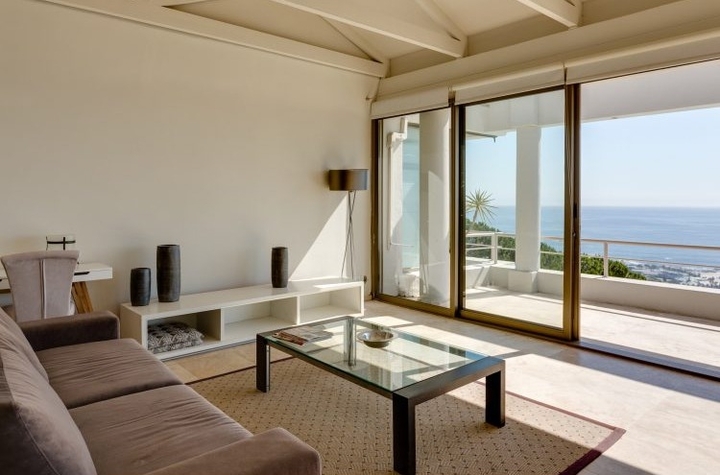 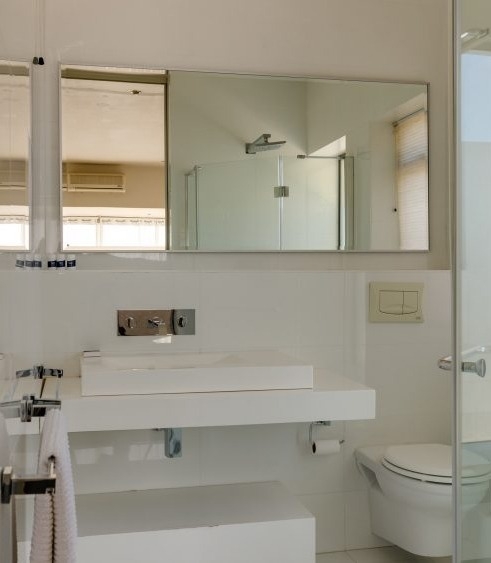 Enjoy beautiful sea views and sunsets, the villa is only a 10-minute walk to the famous Camps Bay beach with its restaurants, bistros and shops. 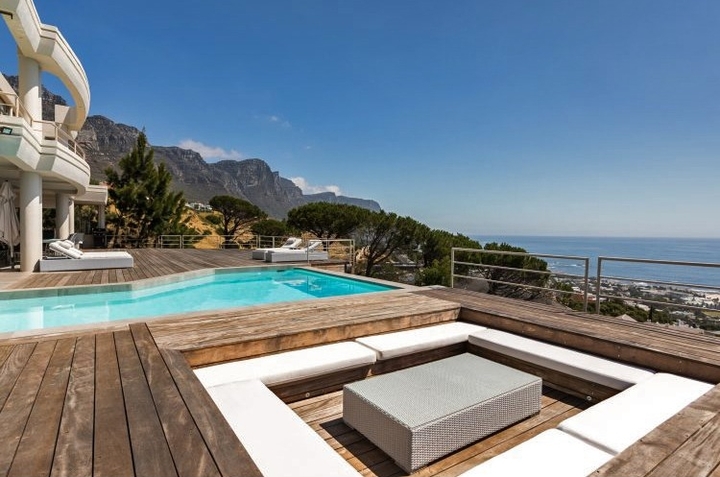 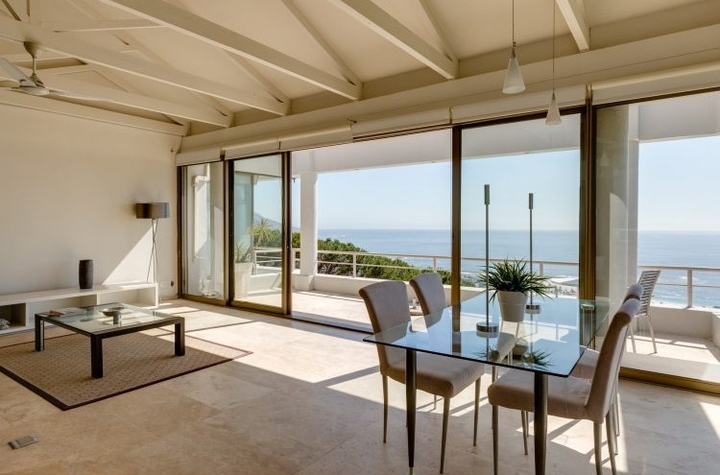 This amazing villa has 360 degrees of unobstructed panoramic Sea and Mountain views to leave you breathless. 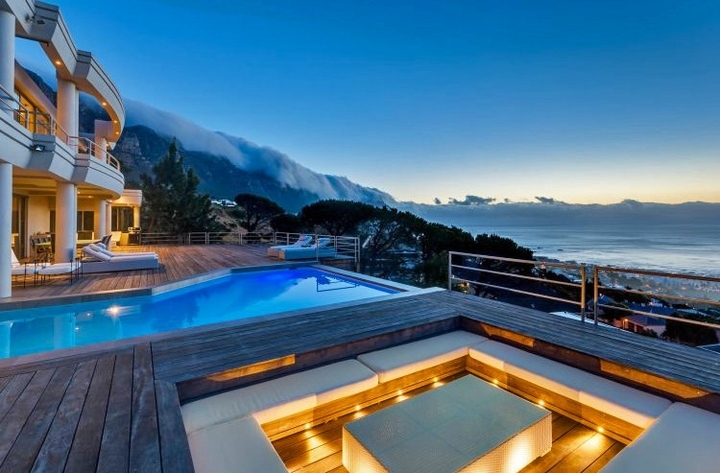 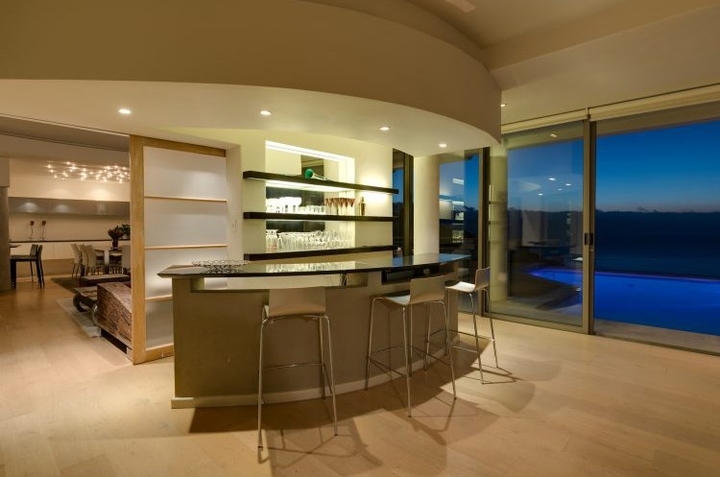 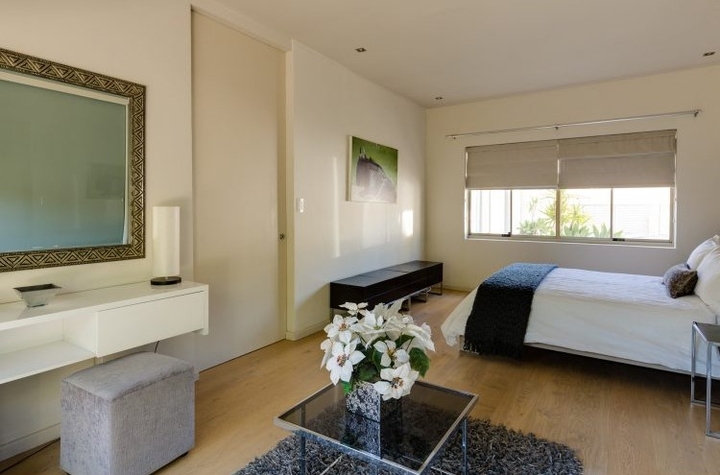 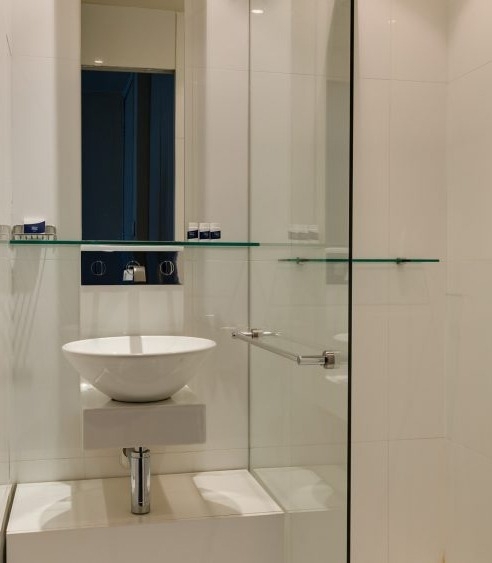 Yet, set back from the buzzing Camps Bay strip you'll avoid all the bustle in this tranquil haven. 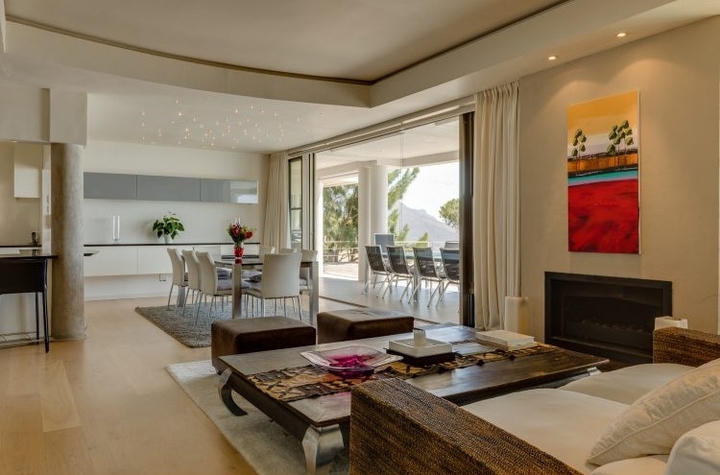 A lot of effort has gone into ensuring that this beautiful villa remains as light and airy as possible, with many large windows, open roof beams and light accent colours that lead the eye. 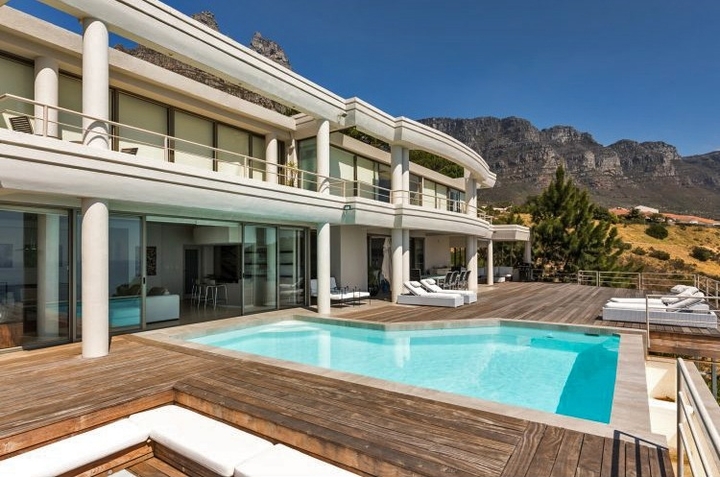 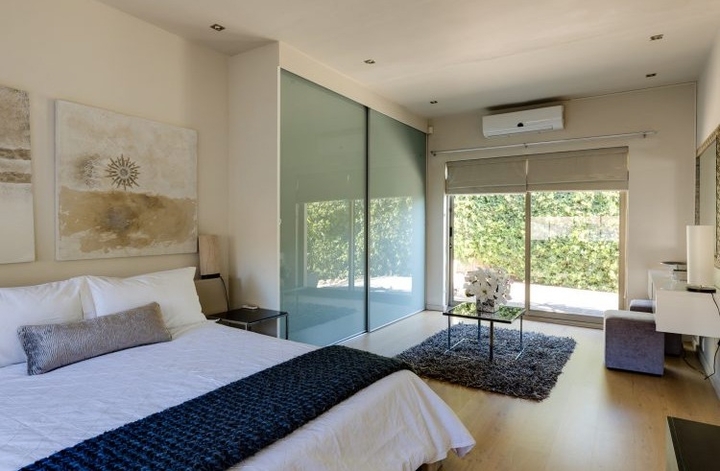 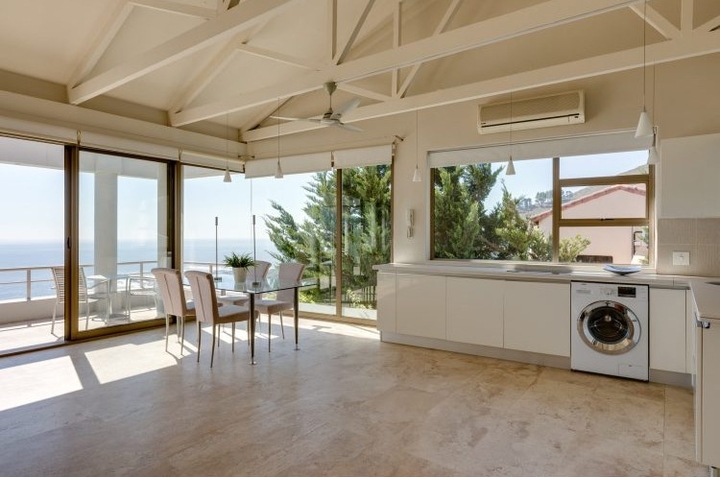 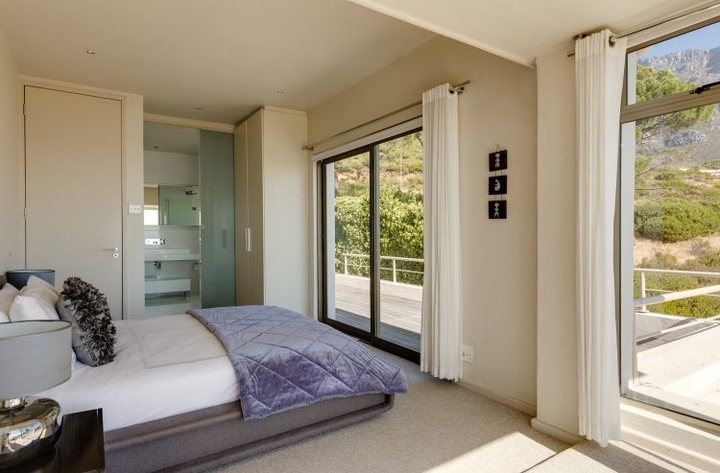 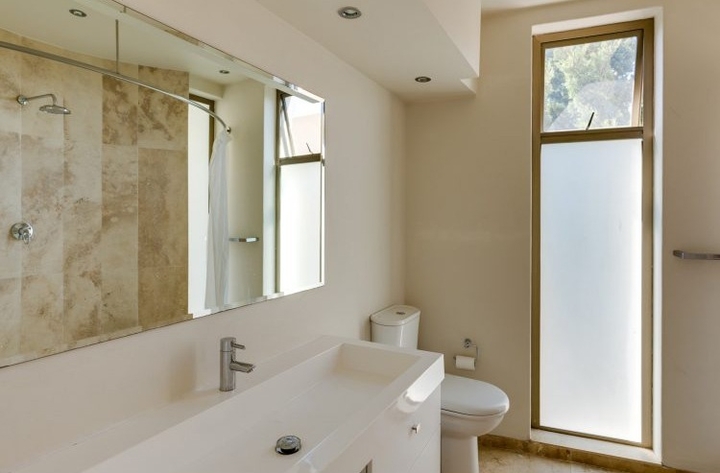 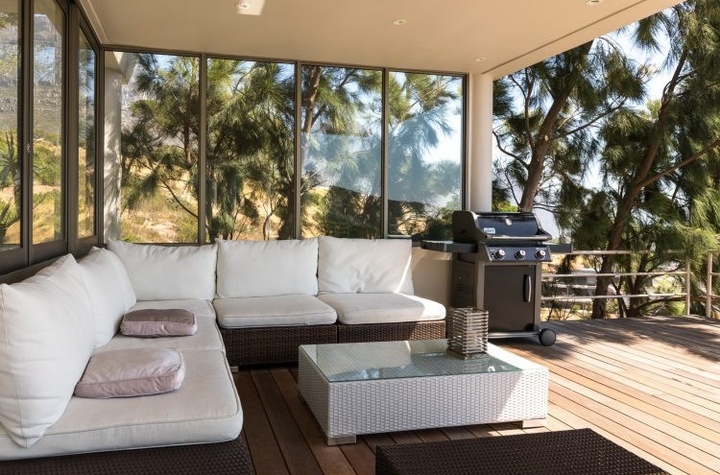 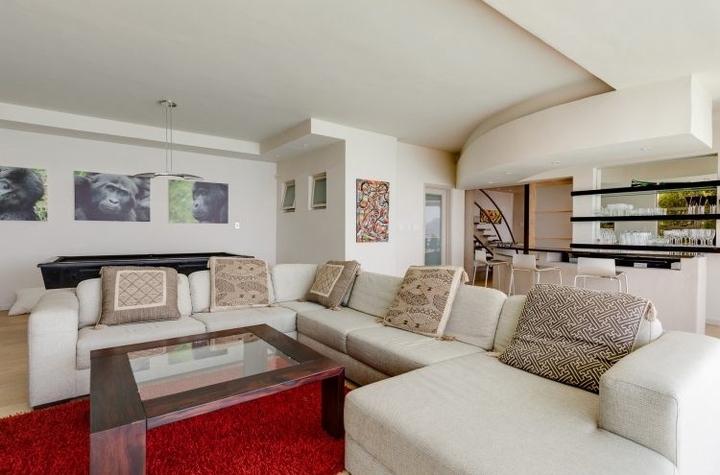 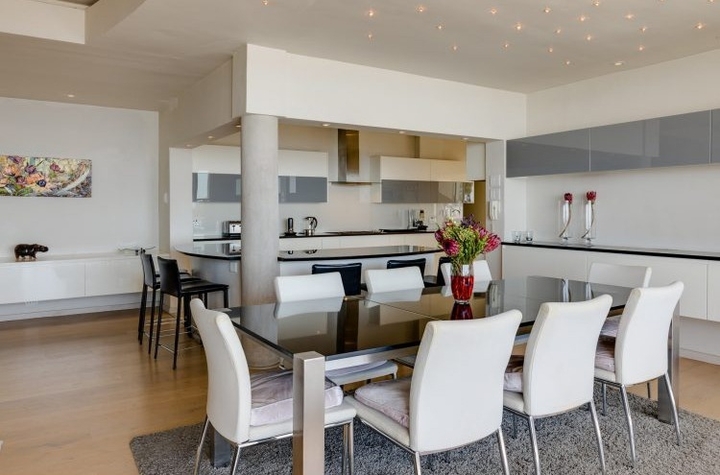 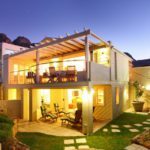 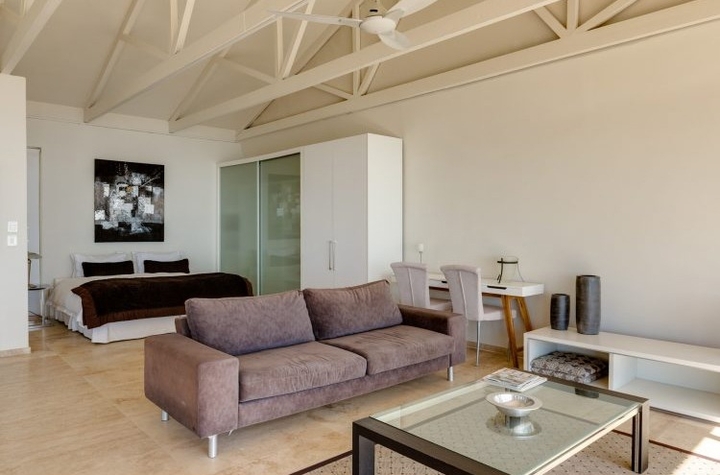 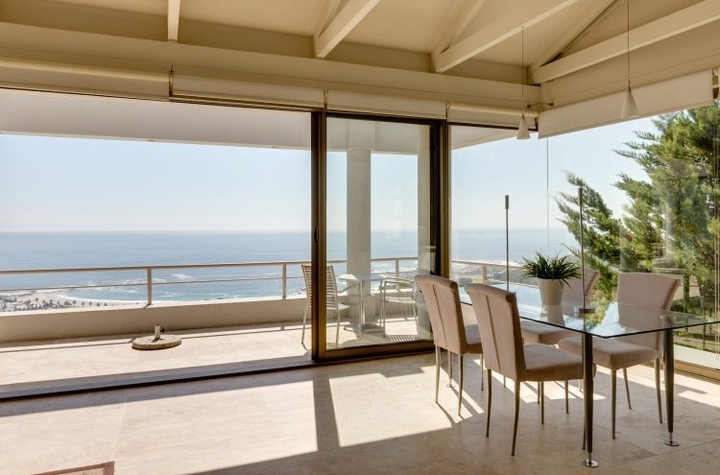 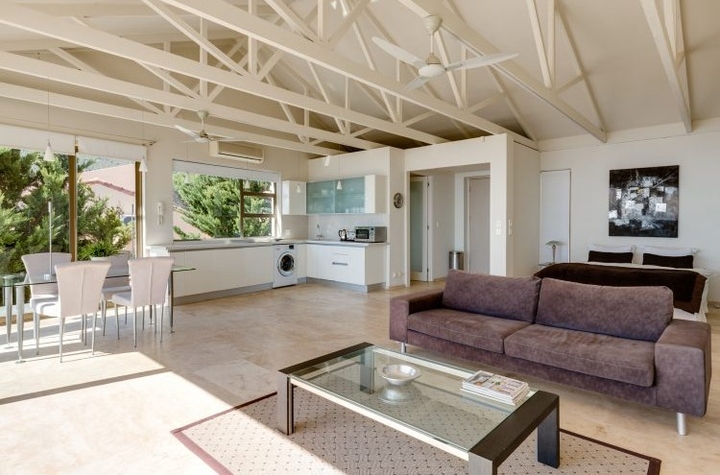 This Villa is close enough to the action of the vibrant Camps Bay strip to be able to get there in less than 5 minutes, but far away enough that you can still experience tranquility. 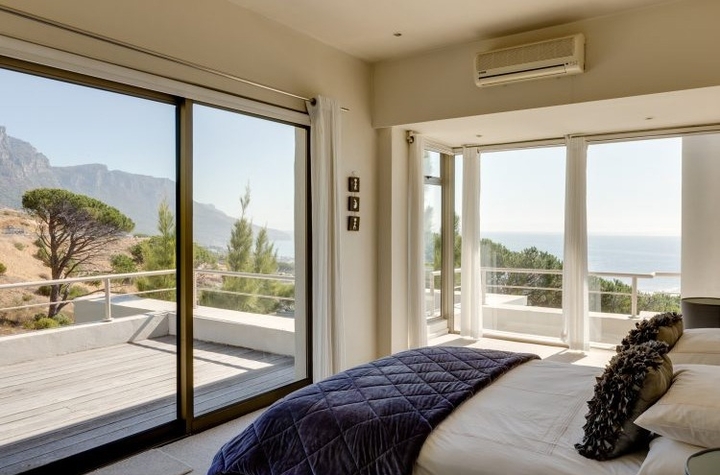 Another bonus are the beautiful views across the Twelve Apostles, which shields the area from the early morning sun, guaranteeing a little bit of extra time to sleep in on holiday. 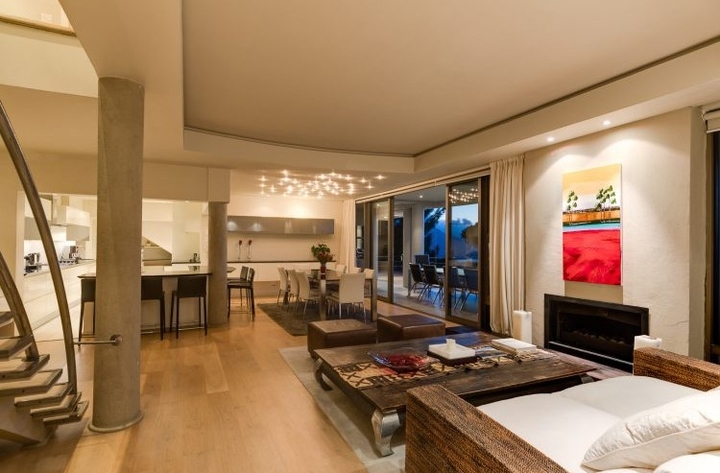 Ready to stay at GENEVA SLOPES?